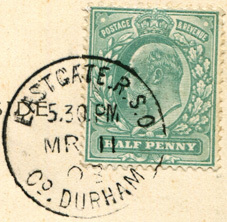 Most types of postmarks were used at Railway Sub Offices, and some examples are listed below. 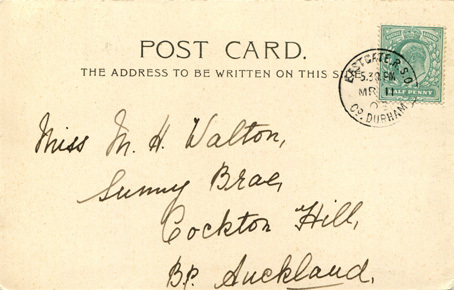 In England, duplex postmarks are only known at the Skelton, Whitland and Sedbergh RSOs. 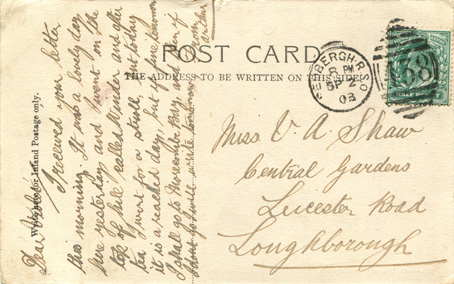 Shown here is a duplex postmark used at Sedbergh R.S.O. 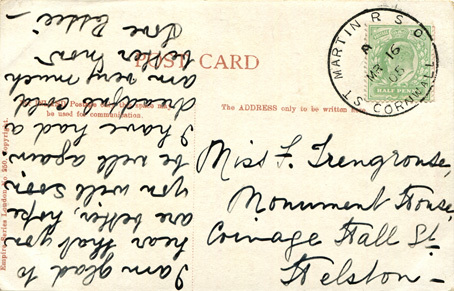 on 2 September 1903. 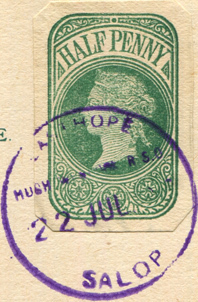 No duplex RSO postmarks have been recorded in Scotland. 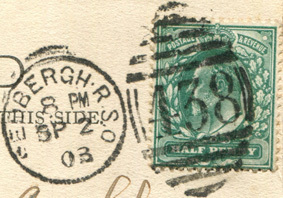 In Wales, duplex RSO postmarks are known at Aberkenvig (Bridgend) and Maescrugiau (Aberystwyth). 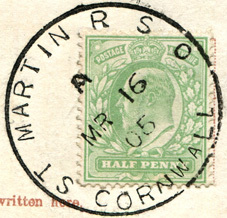 Two further Welsh RSO postmarks are reported at Maesteg (Bridgend) and Ystrad Meurig (Cardigan) … but these remain uncertain. diameter from 21 mm to 29 mm. These tend to be from offices in smaller villages. 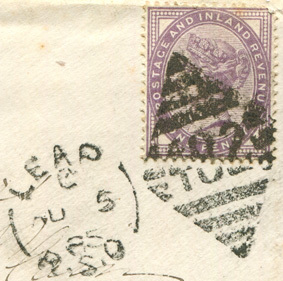 Shown here is a single ring cancel used at Eastgate R.S.O. 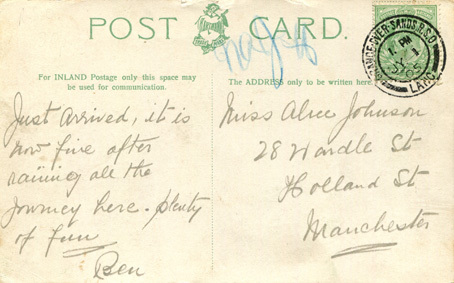 / Co. Durham on 11 march 1903. 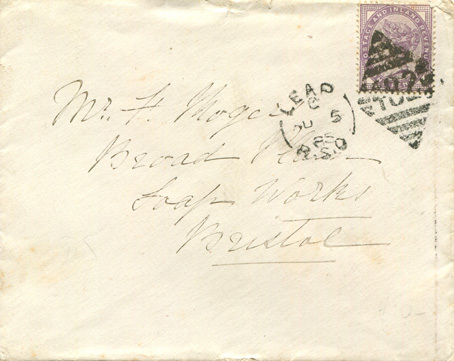 Double-ring RSO handstamps were in use in the same era as many single ring RSO handtamps. However, double-ring RSO handstamps were usually only found in larger offices. 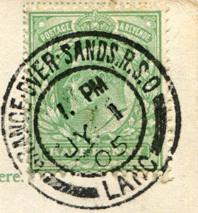 Here is an example of a double-ring RSO stamp used at Grange-over-Sands R.S.O. 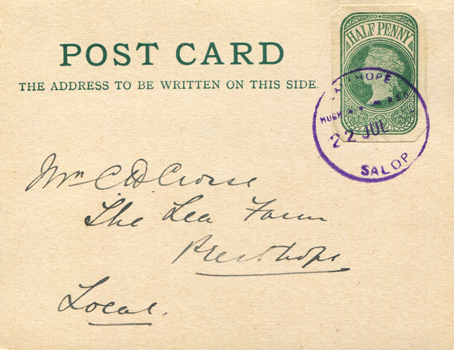 / Lanc on 1 July 1905.